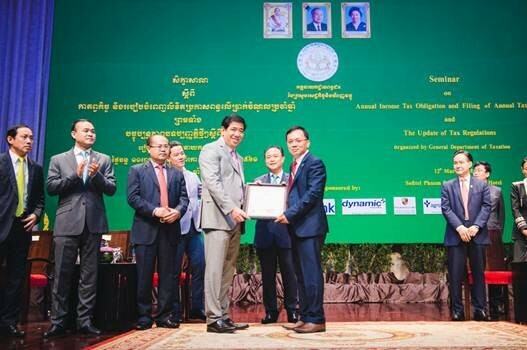 CP BANK gets certification of TAX Compliance Type Awarded “GOLD” validity period of 2 Years from 2018 – 2019 from General Department of Taxation. Khmer Traditional Clothes is Great for Khmer New Year Event! Open Bank Account Quick and Convenience! #265-269, St.Ang Duong, Sangkat Wat Phnom, Khan Doun Penh, Phnom Penh, Cambodia.